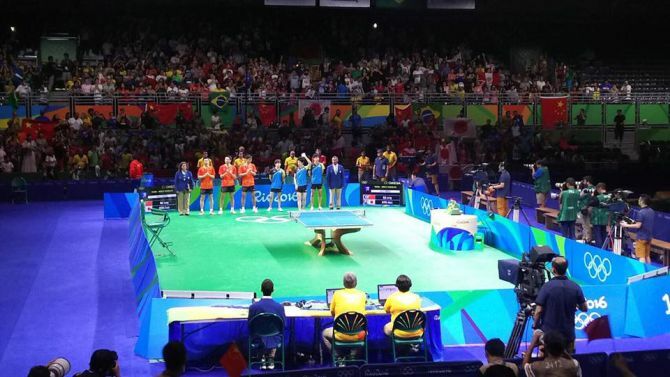 San-EI Corporation, a leading Japanese manufacturer of ping-pong tables, had the honor to supply the tables for this year’s Rio Games. 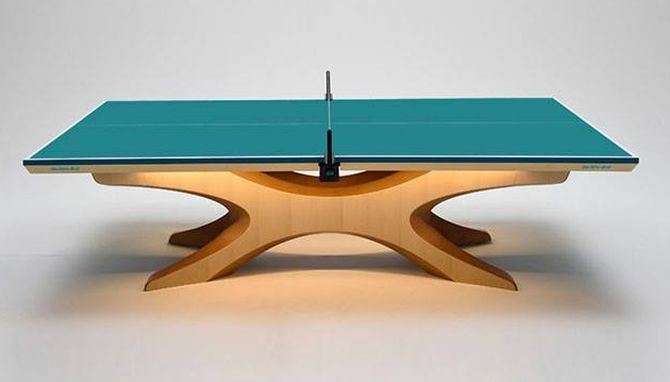 So, they commissioned Japanese designer Shinichi Sumikawa to create a marvelous ping pong table. According to SAN-EI Corp. President Shin Miura, they have combined both Japanese and Brazilian elements into one cohesive design, while paying respect to the 2011 Japanese earthquake disaster. Form of the table is partially inspired by the Kanji, which refers to Japan’s reconstruction techniques. Engineered with complete Olympic standards, the table legs are designed in shape of an infinity ∞ loop. The curvy wooden base has been sourced from fallen trees from the Great East Japan Earthquake. The color of a tennis table is blue in Japan, whereas it is green in Europe. Therefore, Miura and Sumikawa decided to opt a color that appears either blue or green depending on the quality of lighting falling on its surface. Therefore, the table surface is lined with a new color called “Les yeux bleus”, or blue eyes. This table is not on Rio Games’ table tennis court. However, it can also be a wonderful addition into your personal recreational room. It will definitely make you feel like a Rio Champ every time time you’re up for a game. You can purchase the Rio 2016 Olympics Ping Pong Table on TableTennisWorld.